Happy Monday loves! Hopefully many of you are enjoying this relaxing long weekend. So along with grabbing your coffee and kicking back you may be motivated to hit the gym as well. For so many of us this is kind of a double edge sword. While the thought of getting through a well done workout can sometimes be exhausting, the payoff is immense. How good does it feel to push through the barriers and reach that state of nirvana? Still, pushing through is not for everyone and it's not always the best way to approach every workout. Blissful states can still be reached. Mind clearing workouts like yoga and body strengthening barre classes are some of the most invigorating and renewing sweat sessions you can have. 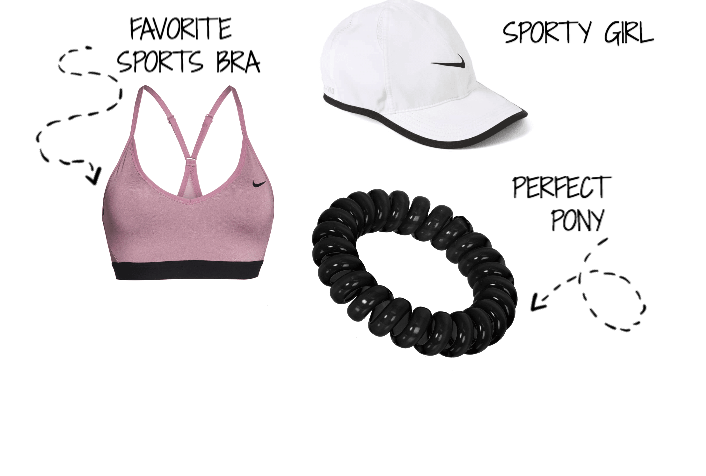 No matter which workout you love best, you definitely want to look cute while doing it. These are some of my favorite picks for doing it right now. Alo makes the softest sweat gear. This hoodie is the perfect example. Look cute and feel cozy getting to and leaving class. These high-waisted leggings are so pretty and bring some unexpected interest to the mat. A really good sports bra is a must and this one is pretty perfect. I also love this new fitbit and how it will work so well with all those spring shades coming up. 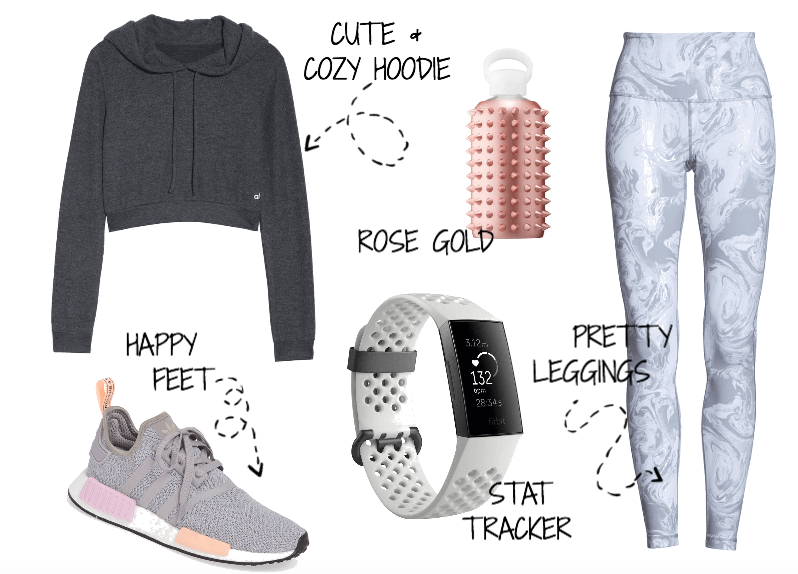 In search of some new workout inspo to go with these looks? This one is my absolute favorite and it's available in studio and online on your time. What could be better? Hope everyone's having a great Monday...thanks for reading!